I can at least look at my EFI partition files. What do I need to do to access my EFI partition on Windows 8.1? 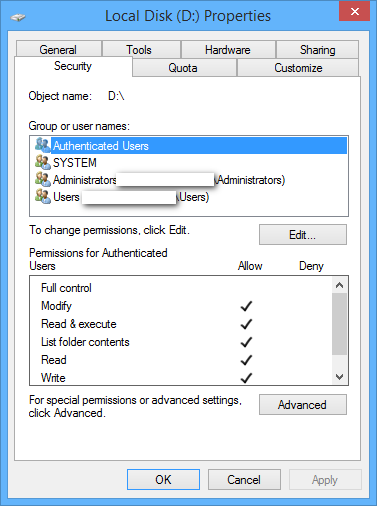 The reason why you can't access it on Windows Explorer (File Explorer) is because by default it does not run with administrative privileges. 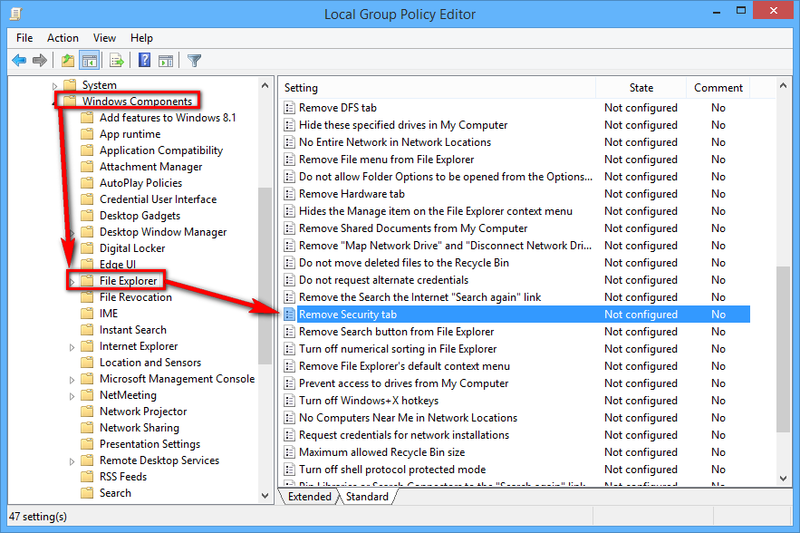 If you let's say kill Explorer and execute it again from an elevated command prompt then you will have access to the EFI partition through File Explorer. Now you can access the EFI partition with File Explorer. 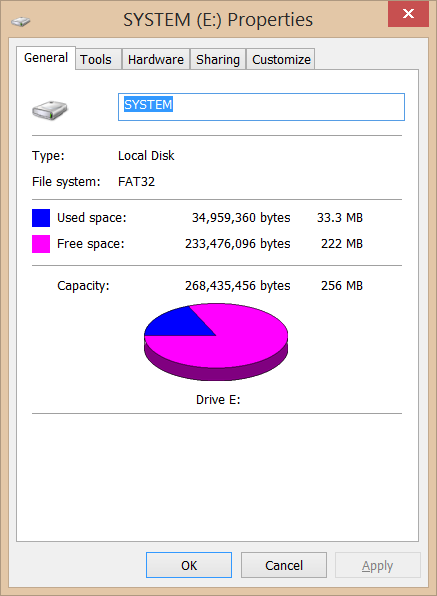 Note that the EFI partition is a FAT32 file system partition. 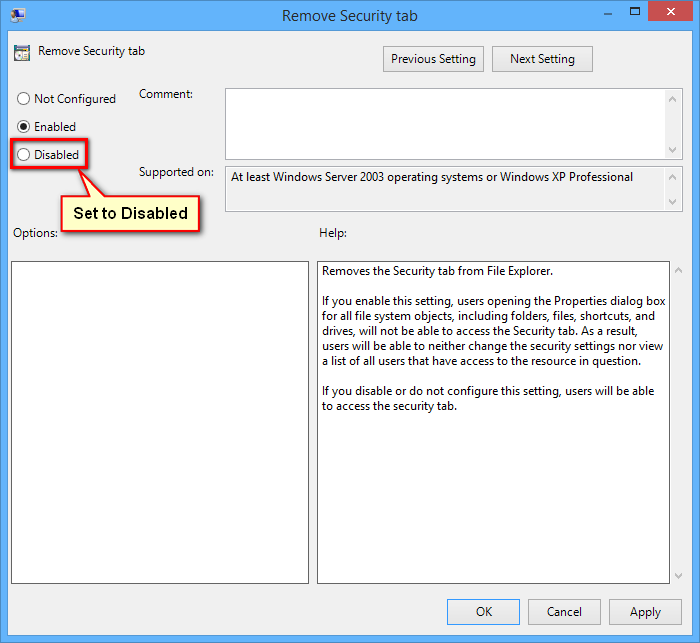 FAT partitions don't have the Security tab, this is a NTFS feature only. 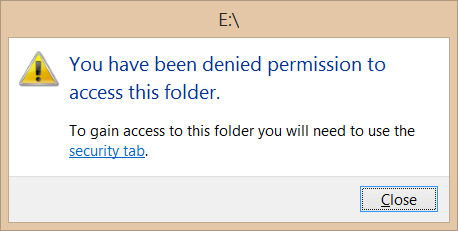 I tried everything and nothing worked on explorer for me. I tried killing and running explorer from elevated cmd, and also tried the same with PowerShell and nothing worked. I could however edit inside cmd and powershell but not GUI/Explorer. It is very odd but if you Download Explorer++ it works. It took me some time to find a workaround so I thought I share it. 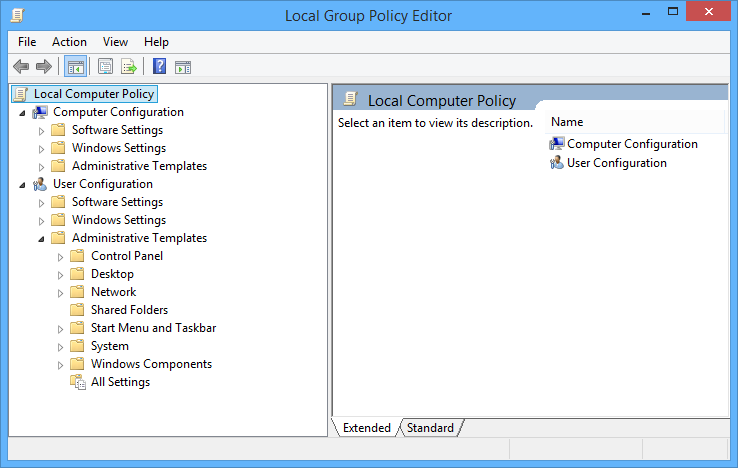 Press Start and type gpedit.msc and press Enter This will open your Group Policy Editor. Not the answer you're looking for? Browse other questions tagged windows-8 efi or ask your own question. How to create an EFI System Partition? How do I convert an EFI System Partition into a normal GPT partition? Can someone explain how I got a Windows EFI error message without trying to install Windows?